Posted 3rd January 2017 by Adam Wyatt. 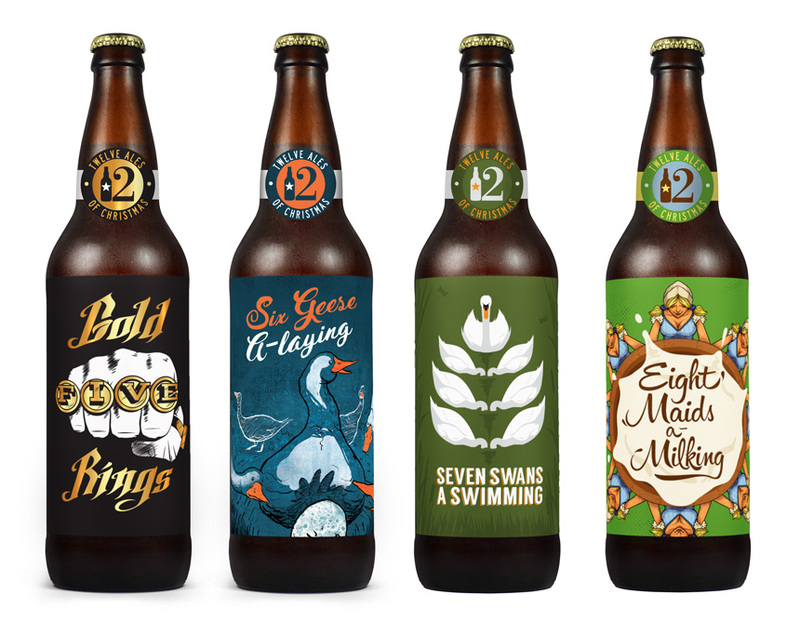 During December Flipside set themselves the exciting task of designing 12 ale labels leading up to Christmas. 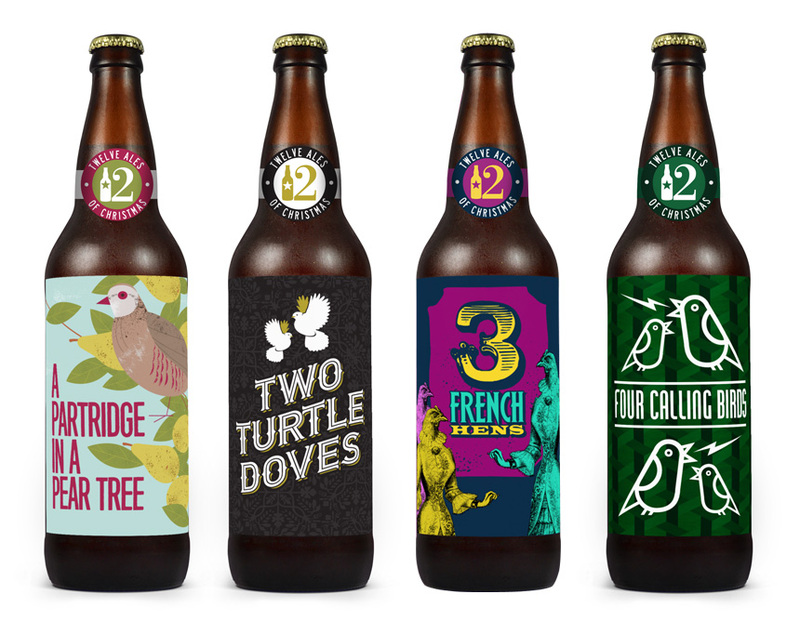 The design concepts are inspired by the 12 days of Christmas song, we didn’t set ourselves any rules when it came to the illustrations and design of each label. The only consistent element was the label shape, 12 ales of christmas neck badge and the bottle shape. 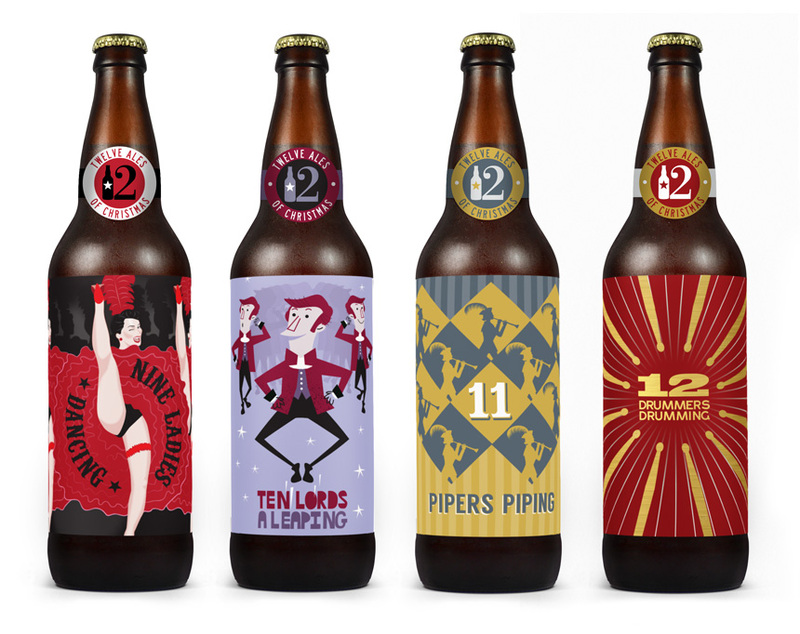 The designs are visuals so no need for the legal requirements such as alcohol percentages and volume. This was a chance to experiment and demonstrate our craft, and investigate different ways of creating animal and people based characters, we had fun with a number of approaches; handcrafted drawings and elements, montage, iconic representation, visual puns, flat vector and line art, to name a few. The complimentary typographic solutions were also a chance to flex our creative muscle, with hand rendered and manipulated type together with simplistic solutions. We are looking forward to approaching breweries this year, and would love to work with one to develop a drinks range.